How would you rate your experience with 7-Eleven, Inc. ? 7 Eleven was founded in 1927 in Dallas, Texas, when John Jefferson Green, an employee of the Southland Ice Company, began selling milk, eggs, and bread, from an improvised storefront in front of one of the company’s ice houses. The manager of the ice plant, Joe C. Thompson, recognized the potential of this idea as the ice preserved the items and allowed people to buy these goods close to home. He eventually bought the Southland Ice Company and opened several stores selling convenience items. 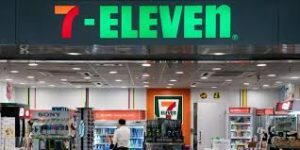 In 1946 the name of the company was changed to 7 Eleven to reflect the stores’ new opening hours, from 7:00 a.m. to 11:00 p.m. In 1952 the company opened its’ 100th store. In 1964 7 Eleven began implementing 24-hour schedules in its stores. After a management buyout in 1987 and several changes in ownership, the company’s largest franchisee Ito-Yokado rescued the company from bankruptcy in 1998 and bought it outright in 2005. In mid-2018, the company changed their contract terms with franchisors, forcing them to carry certain products and charging set prices for them. This has created tension as many franchisors are unhappy with the new terms. Today 7 Eleven is the world’s largest operator, franchisor, and licensor of convenience stores, with more than 50,000 outlets. 7 Eleven operates in Japan, the United States, Thailand, Indonesia, Canada, the Philippines, Hong Kong, Taiwan, Malaysia, and Singapore. Question 1: What is the phone number for 7-Eleven, Inc.? Answer 1: The phone number for 7-Eleven, Inc. is (214) 965 0990. Question 2: Who is the CEO of 7-Eleven, Inc.? Answer 2: The CEO of 7-Eleven, Inc. is Joseph DePinto. Question 3: Who founded 7-Eleven, Inc.? Answer 3: 7-Eleven, Inc. was founded by John Jefferson Green in 1927. People please do not use the ATM’s at 7 Eleven’s. On 3/8/2019 around 12:15 pm the ATM at 6886 15rh Street Sarasota, Fl displayed a catastrophic error when I while I was withdrawing $200. It immediately shut down giving me no money and no receipt . My bank can’t help me because it’s a 3rd party mach. Owner/operator said there was no overage on mach. Tell you what there is a big shortage in m account. B.S. either they didn’t investigate at all, or they are flat out lying to me and my bank. It’s also possible the technician that repaired the ATM pocketed my money. 7 Eleven may not own those machines but it’s on their property. Choosing to ignore me will get news involved. January 2019 according to whats in the system where I work. Will I be given back pay from that date. My wife has worked at the 7-11 in Addison NY for at least 7 years and just quit.. about 2 years ago her Boss mark told her to lose weight because she had a problem fitting into the uniforms…she reported it to 7-11.. after that she was not treated fairly..she was always set up for things not going right.. there are lots more that happened but start with this part first..
My son works at 7-11 in Abilene, tx and one of the employees is always threatening him and bullying him. This other employee has been in prison and I don’t understand how he is even employed by 7-11. He has even been stalking my son and has sat outside my son’s home. He has threatened to beat up my son. My son is on disability and works at 7-11. My son did not want to report this due to fear of retaliation from the employee and fear of being fired. So today I reported it to corporate in Abilene and they just phoned my son and placed him over at a different store. They took him away from “his Store”. They said “for his safety”. So in other words, they are punishing my son by taking him away from the store he works at and where his customers know him. That is the very reason that my son did not want to report this. I will be calling someone higher up to report this. And possibly getting an attorney because 7-11 still is not protecting my son. My husband has been shopping religiously at the 7 Eleven on route 46 I Little Ferry. Unfortunately the store must’ve recently been franchised out and a week ago my husband went in to by his refills for his Logic Pro and came to find out that the employee sold him only one refill for the Logic Pro and two refills of the regular Logic. He went to return the wrong ones and they refused without a receipt, when my husband purchased the refills he did not receive a receipt, cause he was told they had no receipts at the time. I have a recommendation regarding your hot water service at your stores. A set water temperature of 100 °C is way too hot. Customers have to wait until the water cools down before they can drink their coffee or tea. A set temperature of maybe 80-90 °C would be fully satisfactory, and you would save a lot of energy and, hence, money. I just watched Under Cover Boss and in the end was disappointed in seeing what a tight wad you were, I have watch many of these and those i have watched have touched my heart BUT you my friend, Didn’t do hardly anything for the ones you so said this and that about and what they do for you and the company. After all their Blood Sweat and Tears, they are making very little and most likely have so many bills,driving beaters,health problems and Bust the rear ends , and when a show like this shows the appreciation for everything they do i personally feel you didn’t step up like many other Under cover Bosses have and do…. I think Corporate needs to investigate my complaint concerning this matter of refusal of the use of Public Men’s and Women’s Restroom. I’m a Marine Corps Veteran, served 7 years, and I fought for this Country, and I’m being refused to let me use the Public Men’s Restrooms inside of 7-Eleven Store????? The dates are for Friday, Nov. 28, and for Saturday, Nov 29, 2014, and not for the 30th and 31st of November, 2014, that I was inside this 7-Eleven Store location to use restrooms, and made purchases…. Want to make sure 7-Eleven, Inc. sees your comment or complaint?